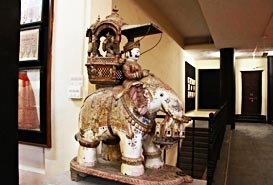 The City Museum, Ahmedabad is in the Sanskar Kendra building which is one of the finest museums in Ahmedabad. Located in the heart of the city, the building was built by the well-known French architect Le Corbusier. 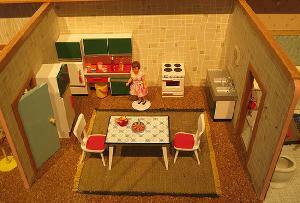 The City Museum attracts tourists from all over. 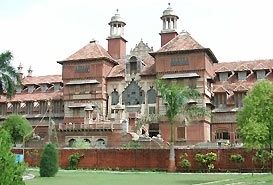 One of the major tourist attractions of Ahmedabad is the City Museum, Ahmedabad. One of the important places in the city it showcases the important aspects, achievements and pride of a city called Ahmedabad. 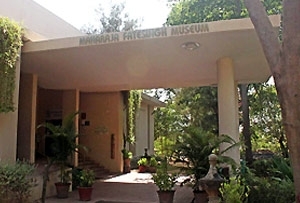 On 5th April, 2000, the City Museum, Ahmedabad was established. 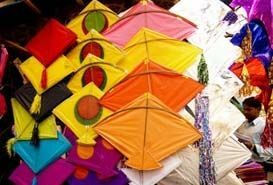 Also known as Atit Ki Jhanki it means a window to Ahmedabad's past. Inaugurated by Mr. Kailashnathan, the City Museum, Ahmedabad is governed by the Ahmedabad Municipal Commission. 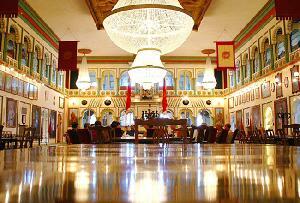 The City Museum, Ahmedabad is a result of the efforts made by the Vastu Shilpa Foundation. It is located in Sanskar Kendra which was built in the year 1954 by well-known French architect Le Corbusier. 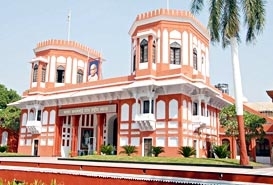 Before the City Museum, Ahmedabad was built Sanskar Kendra was mainly used as an exhibition hall. 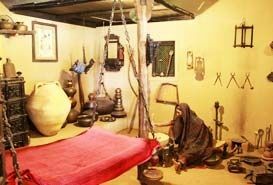 If you are keen to know more about the art, history and culture of Gujarat then, City Museum, Ahmedabad is the perfect destination. 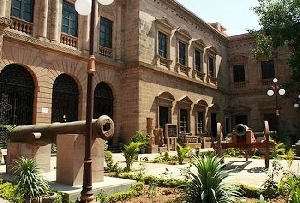 This is one of the finest museums in Ahmedabad that gives you a greater insight into the history, art and cultural heritage of Ahmed Shah's Ahmedabad. 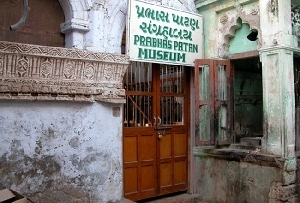 In the City Museum, Ahmedabad a number of research and studies are carried on in various subjects like the ancient Ahmedabad. One can see the medieval coins, land documents, Devnagari and Urdu scripts that help you to know more about ancient India. 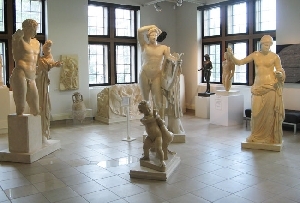 The tourists can also get a glimpse of ancient art, pottery, woodcraft and frescoes of medieval India in the City Museum, Ahmedabad. There are historical evidences of Industrial Revolution in Ahmedabad and the effects of Gandhism. Ahmedabad which was one of the most excellent textile producing regions was called the Manchester of India during that period. 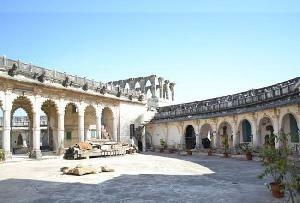 The City Museum, Ahmedabad also has remnants of that period stored in its precious memorabilia. Tourists can get a glimpse of exquisite designs on variety of textiles such as brocade, Chinese embroidery, carpets, tents, royal attire. There are some precious photographs as well as antique camera and other equipments. 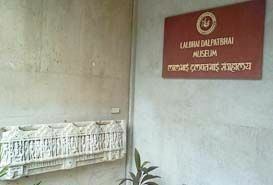 The different books and manuscripts in City Museum, Ahmedabad reveal information on various religions like Jainism, Zoroastrianism, Jewism, Sikhism, Hinduism, Christianity, Vaishnavism and Islam as well. 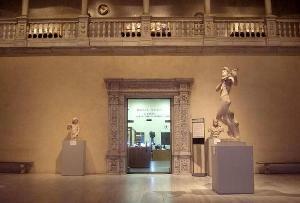 On your tour to Gujarat do not miss this excellent City Museum, Ahmedabad. 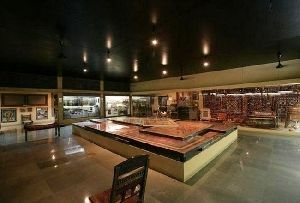 From rare memorabilia to the exquisite artwork, City Museum, Ahmedabad is a treasure trove for all the tourists. 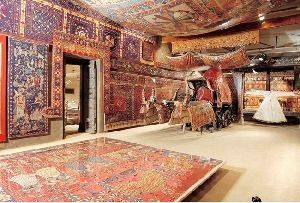 A visit to the City Museum, Ahmedabad will surely be an enriching experience for you. 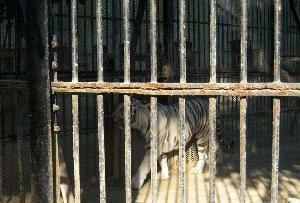 Besides the City Museum there are other tourist attractions in Ahmedabad. On your Tour to Ahmedabad plan a trip to the Rani Sipri's Mosque, Raj Rabri Mosque, Dada-hari-di-Vav, Victoria Gardens, Kutbi Mazar, Bhadra Fort, N C Mehta Museum of Miniatures and Calico Textile Museum.